This trendy sterling silver and stainless steel adjustable charm bangle looks great alone or stacked with several of our other bangle charm bracelet designs. Gently slide open or closed for a perfect, adjustable fit. Stainless steel is hypoallergenic and will not rust or tarnish, making it the perfect gift with heirloom potential. 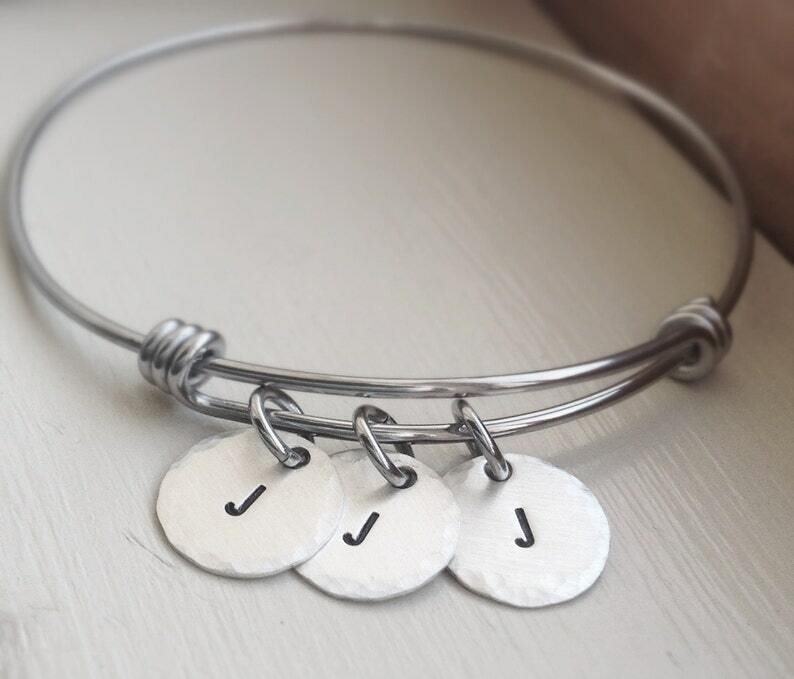 A 1/2" sterling silver disc is hand stamped by me with the initial of your choice. 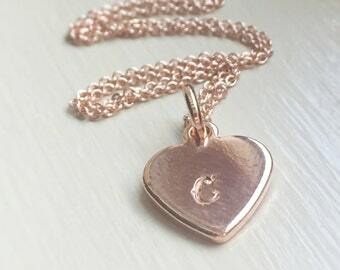 Choose the number of initial charms you need from the drop down menu. I finish the charms with a hammered edge and a rustic, brushed finish. Your bangle will arrive in our signature cotton pom gift bag, ready to give as a gift.